The Jacksonville (FL) Aviation Authority (JAA) plans an air traffic control tower and spaceport shell for Cecil Spaceport at the repurposed Navy Master Jet Base. The JAA has applied for permits totalling $8.1 million for construction of the new facilities, which would include office space, a conference room and spaceport shell on the ground floor. Above that would be a control tower reaching nearly 119 feet into the air with an octagonal cab offering 360 degree views of the spaceport. In addition, JAA has applied for a permit to make alterations and repairs to some of the existing facility, and environmental permits from the St. Johns River Water Management District. Television station WJXT reports that the first phase of the project is planned for 45 days during which temporary structures will be built, along with traffic control devices and security fencing. The new facility, along with its associated infrastructure, would be built over the next 472 calendar days, according to the report. The first client for the Cecil Spaceport is Atlanta-based Generation Orbit. That company plans to initially launch small satellites using a launcher carried aloft by a modified Gulfstream jet. Their first launch is currently planned for 2019 or 2020. 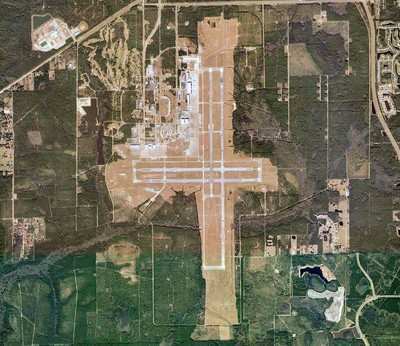 The 12,500-foot runway at Cecil Spaceport is also able to accomodate returning suborbital and orbital spacecraft.